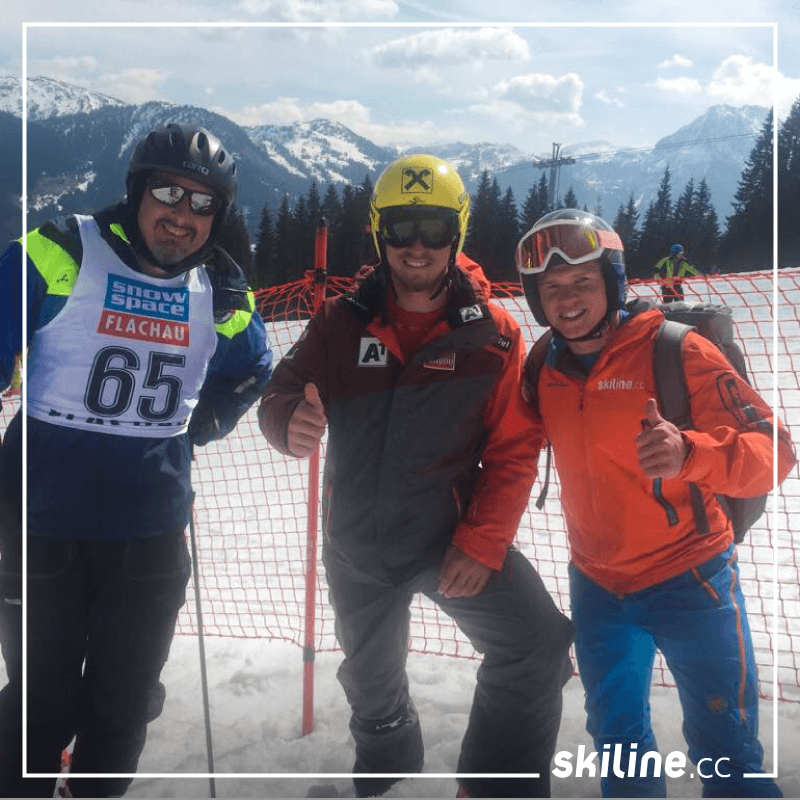 Last week Carinthian ski star Max Franz had the opportunity to see the quality of Skiline installations for himself. At the skiing day in Flachau, organised by ÖSV partner Fristads Kansas, winter sports enthusiasts had the chance to compete at the Wagrain Skimovie installation against the St. Moritz world championship medal winner and the ÖSV head of research and development Toni Giger. For the second time the shared skiing day with the ÖSV star took place on April 30th, 2017 – this time in Flachau. Around 100 participants from four countries – among them Fristads Kansas customers, wholesalers and lucky competition winners – took advantage of the chance to speed down the slopes with newest Atomic ski. Naturally, a ski race to conclude the day couldn’t be passed up. “Due to our innovative products, our challenges can be adapted for the needs of the customers, provide results immediately and generate special experiences”, explains Stefan Winter, Sales Skiline Austria. Although, the slopes were not in perfect condition due to the high temperatures, the mood was not harmed by this. The participants were thrilled by the increased entertainment factor through our Skiline products and already look forward to the skiing day in the next season.